As a tidal wave of cultural revisionism sweeps America in the aftermath of this weekend’s tragic Charlottesville clashes, prompting governors to tear down Confederate statues across the country, the governor of New York has a different idea and if Gov. Andrew Cuomo gets his way, the names of the two Confederate generals – Gen. Robert E. Lee and Gen. Stonewall Jackson – will be removed from streets on an Army base in New York City, according to the NY Daily News. 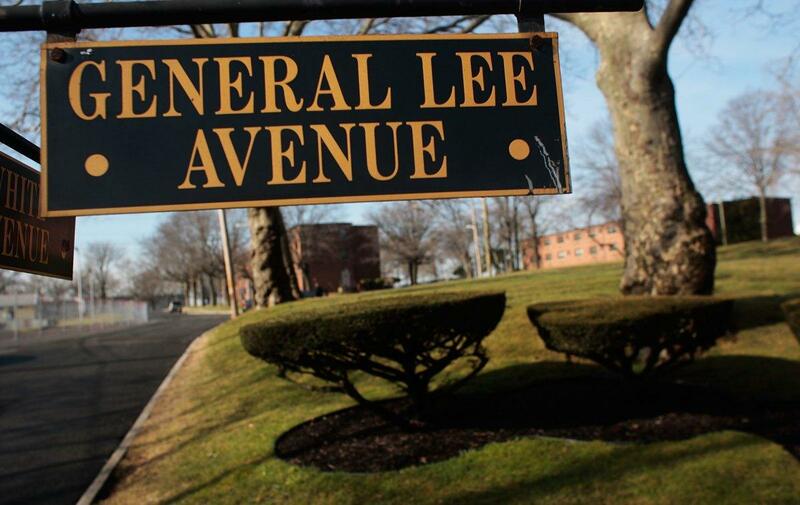 General Lee Avenue is a main thoroughfare stretching through the center of Fort Hamilton, an Army installation in Brooklyn. Stonewall Jackson Drive is located in the southwestern corner of the base. A recent attempt by local leaders to have the names removed from the Fort Hamilton streets was denied by the Army on August 7. The Army said renaming the streets would be “controversial and divisive.” However, on Wednesday Cuomo decided that the army’s idea of divisiveness is less important than his own, and called on the Army to reconsider its recent decision not to rename two streets in Brooklyn honoring Civil War Confederate generals. “Renaming these streets will send a clear message that in New York, we stand against intolerance and racism, whether it be insidious and hidden or obvious and intentional,” Cuomo wrote in a letter sent to acting Army Secretary Ryan McCarthy. “Given the events of this week, including the violence and terrorism perpetrated by white supremacists in Charlottesville and the resulting emboldening of the voices of Nazis and white supremacists, I now strongly urge the U.S. Army to reconsider its decision and I call on them to rename these streets,” Cuomo said. 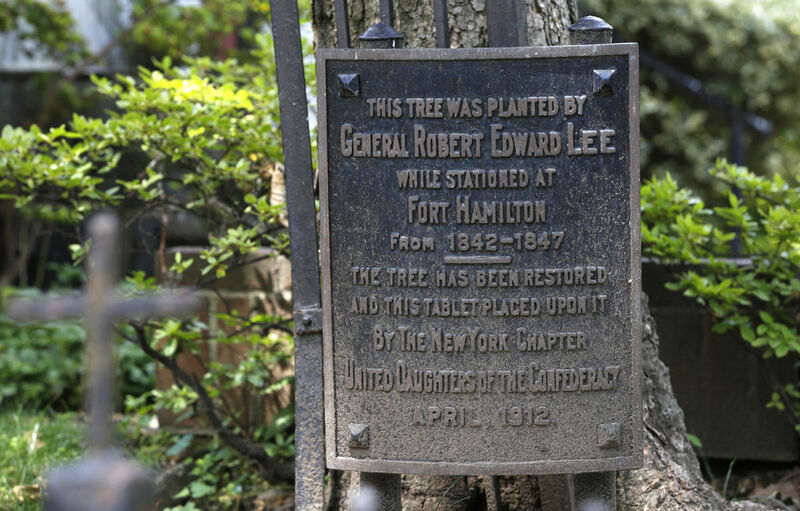 “After over a century, any effort to rename memorializations on Fort Hamilton would be controversial and divisive,” Randon wrote. Cuomo’s request comes as other cities and states consider what should be done with monuments honoring Confederate generals and pro-slavery advocates. In Maryland, Gov. Larry Hogan wants a statue of former Supreme Court Justice Roger Taney removed from the State House grounds. Taney wrote the decision in the Dred Scott case, which prevented black people from becoming U.S. citizens. The city of Baltimore removed four Confederate statues overnight Tuesday. Earlier in the day, a Chicago pastor called for the names of “slave owner” presidents such as George Washington and Andrew Jackson, to be removed from Chicago parks. On Wednesday, Bronx Borough President Ruben Diaz Jr. called for the removal of Jackson and Lee busts from the Hall of Fame for Great Americans, which is on the Bronx Community College campus. Cuomo has been outspoken about Charlottesville since the weekend. He launched a petition urging President Donald Trump to condemn white supremacists. He also proposed changes to the state’s hate crimes law that would increase penalties for riots that target people based on race, gender, religion or other protected classes. “The events of Charlottesville and the tactics of white supremacists are a poison in our national discourage, and every effort must be made to combat them,” Cuomo wrote in his letter to McCarthy.